Calgary (Alberta) - The Calgary Stampede and Stampede Entertainment Inc. are thrilled to announce that Gammy Award-winning duo, Sugarland, will hit the stage as part of the Virgin Mobile Stampede Concert Series at the 2019 Calgary Stampede. The Saturday, July 13 performance at the Scotiabank Saddledome, will be Sugarland’s only performance in Western Canada. Since the band’s inception in 2002, Sugarland has sold nearly 10 million albums domestically, achieving high-mark sales with PLATINUM-certified THE INCREDIBLE MACHINE, 2X PLATINUM LOVE ON THE IN SIDE and 3X PLATINUM TWICE THE SPEED OF LIFE and ENJOY THE RIDE. 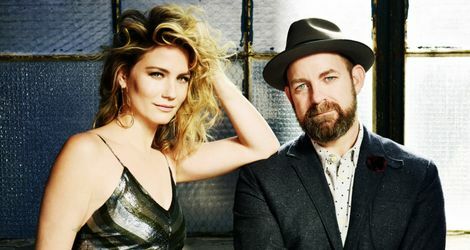 Sugarland’s Jennifer Nettles and Kristian Bush have refreshed their musical visions while staying true to an authentic sound and emotive songwriting that has made Sugarland ubiquitous with Country music duos. After a six year hiatus, the Georgia natives returned with new album BIGGER. Tickets go on sale to the public on Friday, February 15 at 10 a.m. (MDT) starting at $59.99 (plus applicable fees). Tickets will be available at all Ticketmaster outlets, via phone at 1.855.985.5000 and at https://www.ticketmaster.ca/event/11005638F2066C34. Tickets include admission to the Calgary Stampede on the day of the concert. Virgin Mobile will be offering its Members exclusive priority access to tickets for the show. Members can go to virginmobile.ca/benefits for details on the pre-sale, which runs from Tuesday, February 12 at 10 a.m. (MDT) to Thursday, February 14 at 10 p.m. (MDT). Starting in April Members will also be able to enter to win a VIP experience at the Virgin Mobile Stampede Concert Series, including prime seating and exclusive access at the event. Calgary Stampede Insiders have an opportunity to pre-purchase tickets from Wednesday, February 13 at 10 a.m. (MDT) until Thursday, February 14 at 10 p.m. (MDT). Previously announced artists for the 2019 Virgin Mobile Stampede Concert Series include Zac Brown Band, performing in the Scotiabank Saddledome on Friday, July 12. Stay tuned for more great Virgin Mobile Stampede Concert Series announcements. At Virgin Mobile Canada you’re not a customer, you’re a Member, and Members get exclusive deals from the hottest brands, a shot at VIP access and one-of-a-kind experiences. We do the VIP extras, best customer service in Canada, hot phones and super-flexible plans, so that you can do you. Eligible residents in Ontario and Québec can hook up with Home Internet with plans that are all-in and all awesome without all the extra fees. Through Virgin Mobile RE*Generation, Virgin Mobile Members and Canadians can help at-risk youth develop the in-demand job skills and experience they need to get jobs that will change their lives for good. Wanna hook up? Head online or call 1-888-999-2321 to get in the know. Get personal with Virgin Mobile Canada on Facebook, Twitter or Instagram.